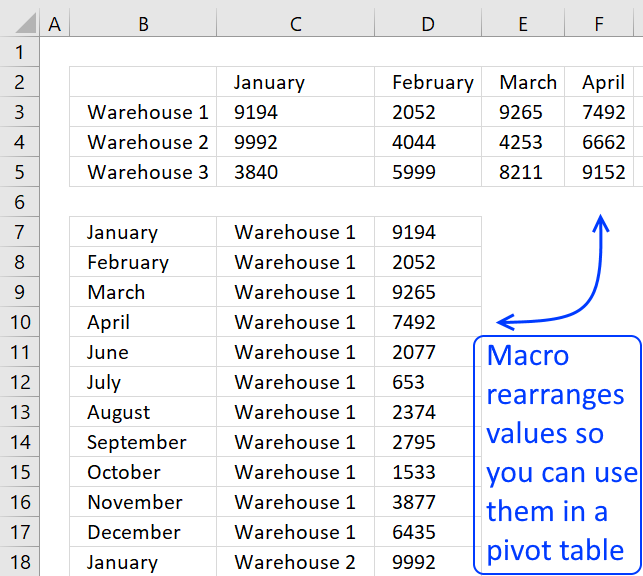 Excel 2013 allows you to count unique distinct values in a pivot table, this article explains how to use a helper formula for earlier Excel versions. The table I am working with is in cell range B2:D7. 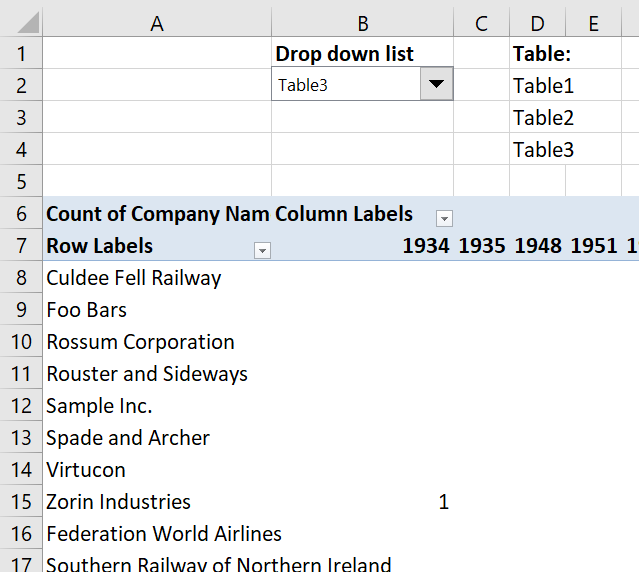 I have then added another column (E) to count unique distinct rows. 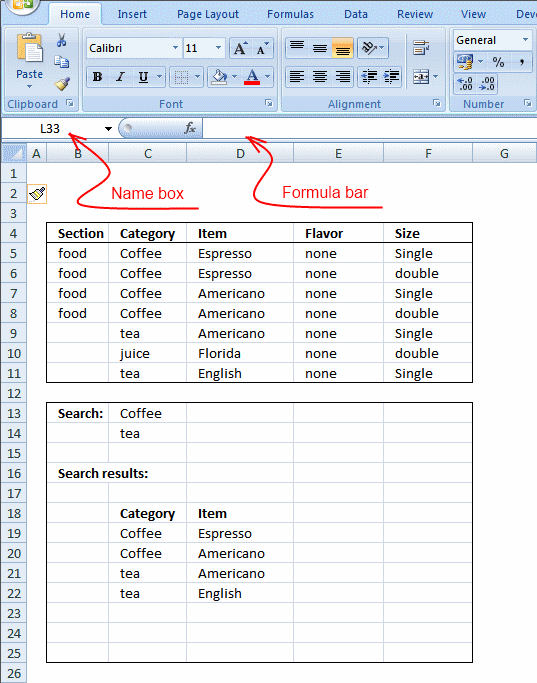 Copy cell E3 and paste down to E7. 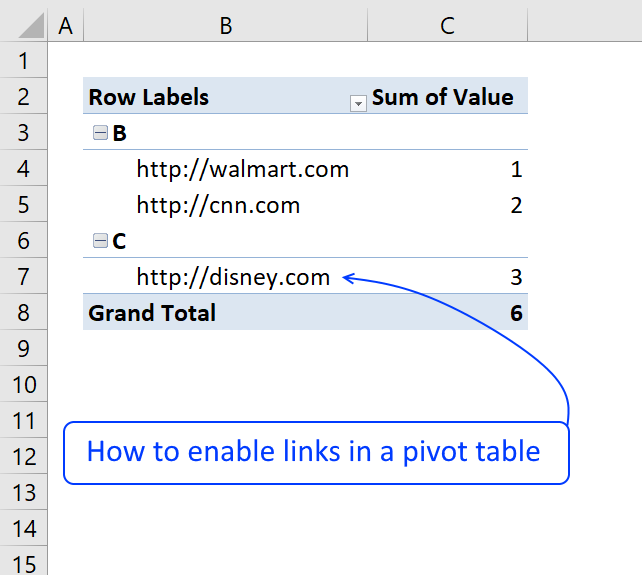 Choose where you want the pivot table to be placed. 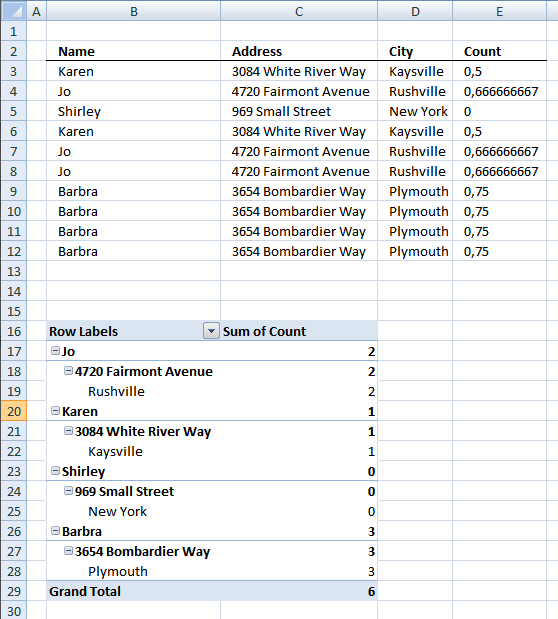 Click and drag Name, Address and City to row labels. 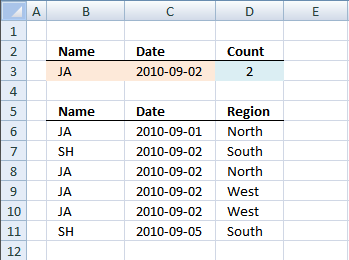 Click and drag Count to values. 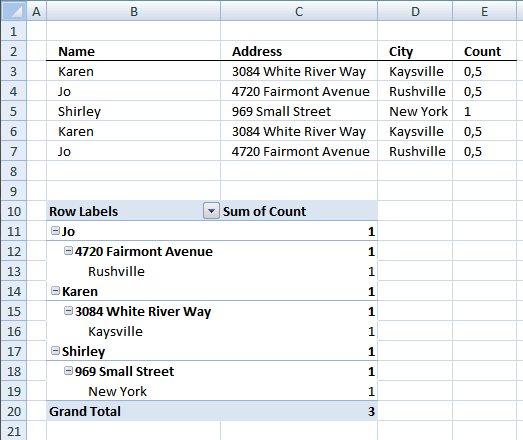 The table I am working with in this example is in cell range B2:D12. 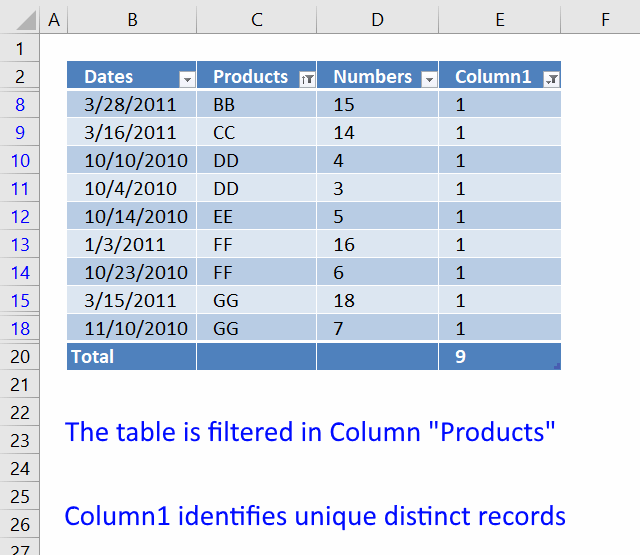 I have then added another column (E) to count duplicate rows. 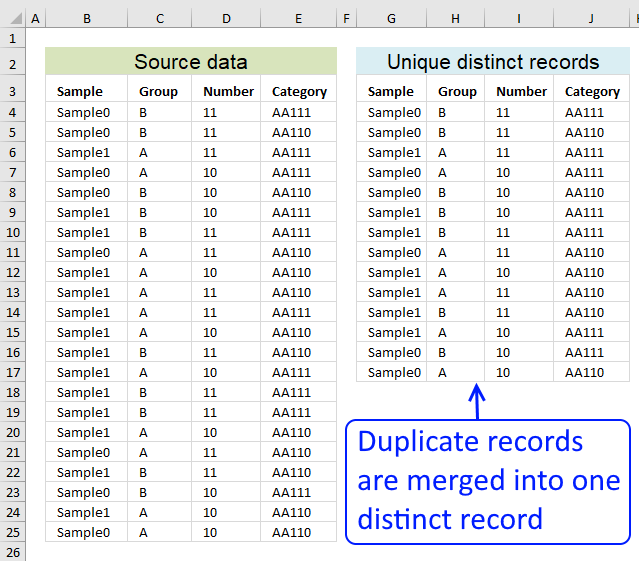 Copy cell E3 and paste down to E12. 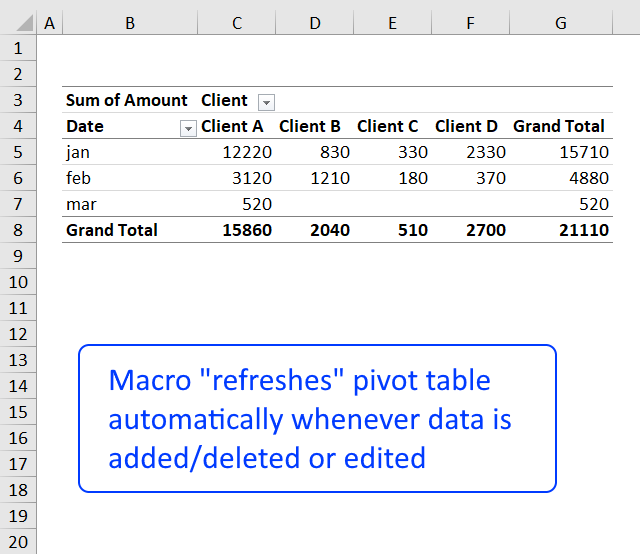 I did automate the process in a vba macro that add a unique count datafield in the pivot, automatically updated when you change the configuration of the pivot. 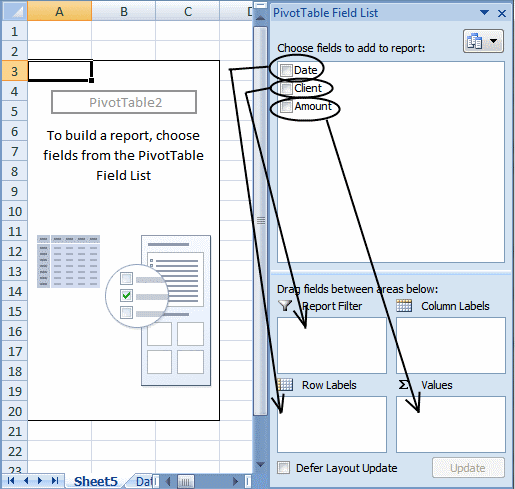 I did try your code and it seems to work with my example pivot table! 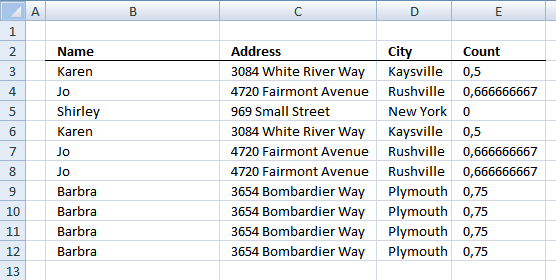 It converted my data to a table and added new columns, maybe you mentioned that on your website? Thanks a lot! This solution saved me some hours. Boss you are genius. Hv been searching this for quite some time. This is amazing and saved me a lot of work. THANKS!! !